Due to the global shift from traditional industrialised processes to clean energy practices, many of the world’s factories have become disused craters of waste and abandoned land. Combatting this trend, the Shougang Industrial Regeneration Project will take what was one of Beijing’s most prominent factories and develop a new community space that reflects the site’s history. The regeneration project is the first of its kind in China, and provides a longterm solution for dealing with these derelict factories and railways, taking advantage of the extensive space they occupy and preserving the fascinating history that they hold. The Shougang Corporation (previously named the Capital Iron and Steel Corporation) was a large industrial base, active since 1919 and one of China’s largest steel companies. Throughout the 20th century, China opened itself to the world, and the factory held a great deal of influence and production across steel manufacturing, mining, machinery, electronics and real estate. As the 21st century rolled over, rising concerns surrounding the factory’s harmful pollution emissions caused Shougang to be closed in preparation for the 2008 Olympic Games. 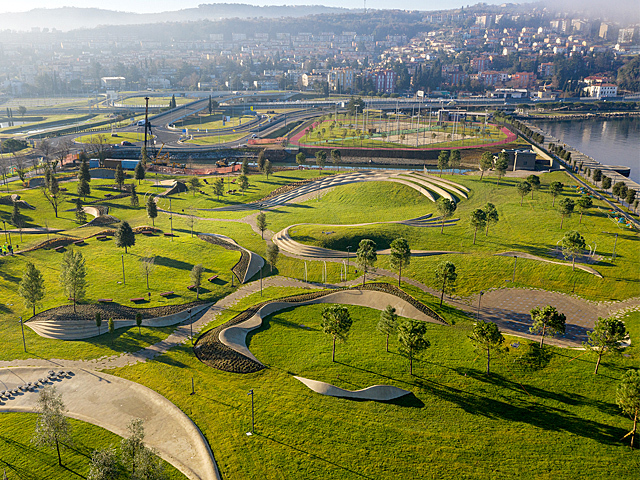 Over the past 10 years the site has fallen into disuse, but with the city preparing for the 2022 Winter Olympics, plans have risen to revitalise the historical site. 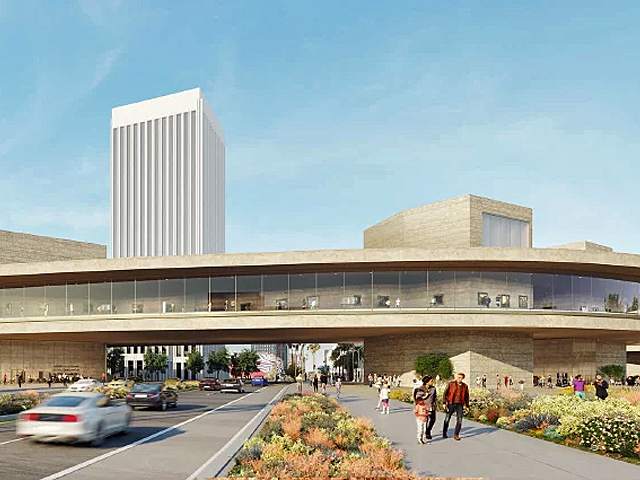 The young Chinese architecture firm, CCTN Design, alongside architect Bo Hongtao, are at the forefront of the plan to revitalise the Sougang industrial site in preparation for the Winter Olympics, in the form of an exciting new museum, call the Museum of Regeneration. 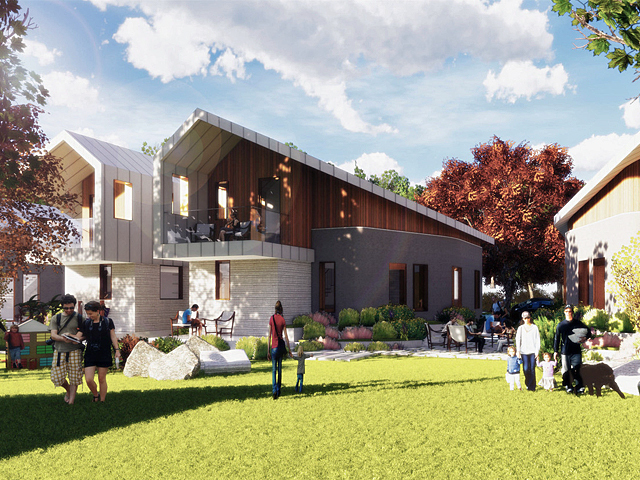 The scheme will create a “new paradigm for urban development” and aims to recreate the site to match modern life while retaining the history and memory of the location. 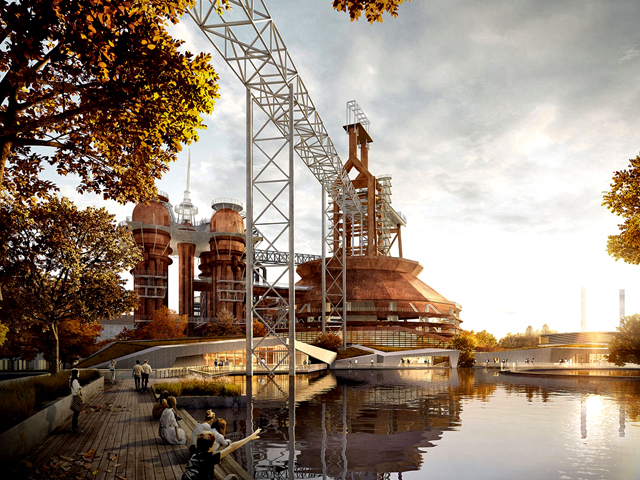 The Museum of Regeneration will be one of the only regeneration projects surrounding blast furnaces and ancillary facilities in the world, and the first in China. 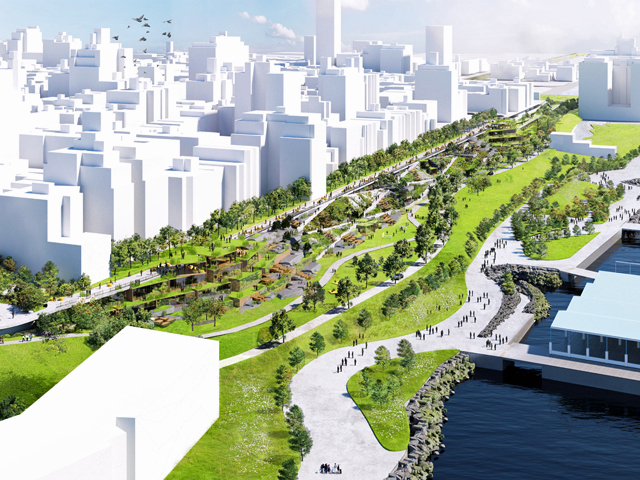 Buildings that are deemed unnecessary will be removed, creating wide spaces between each industrial building, and allowing for a large park and greenspaces to be constructed. 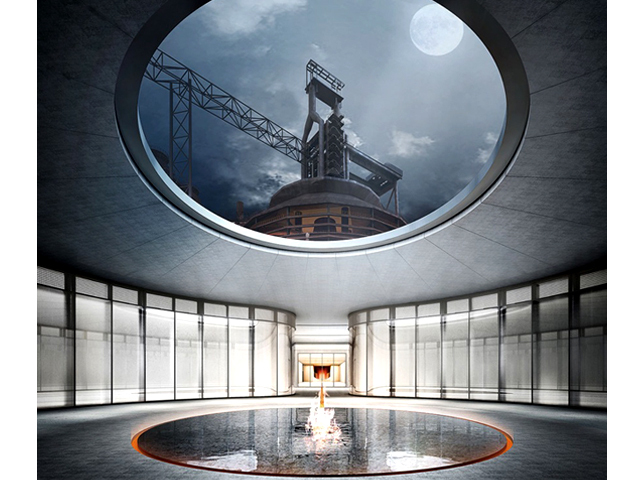 The blast furnace will feature in the centre of the precinct, paying homage to the site’s rich history and allowing for the spectacular structure to be showcased to the public. 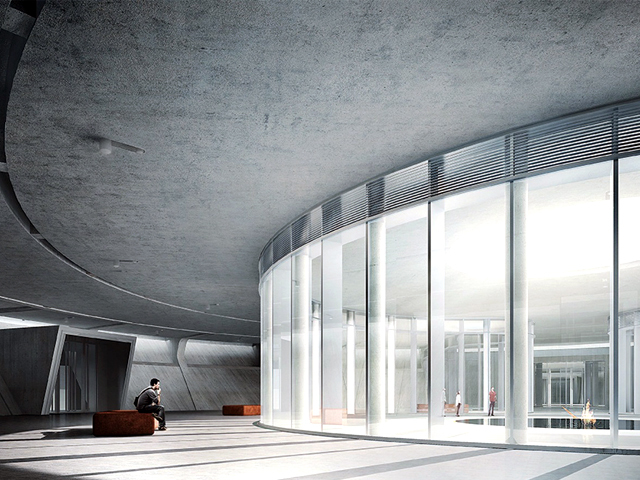 A parking lot will sit beneath the furnace’s ancillary cooling pool, which will link to an underwater exhibition space. 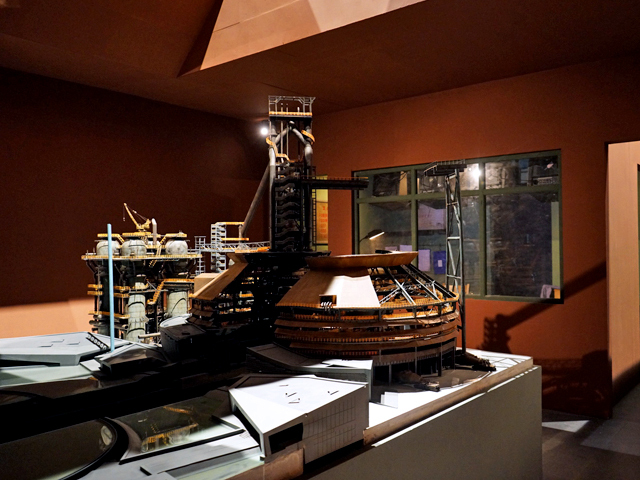 here, visitors can engage with artwork and historical relics and pieces of the site’s history, while being able to view pieces of the blast furnace. 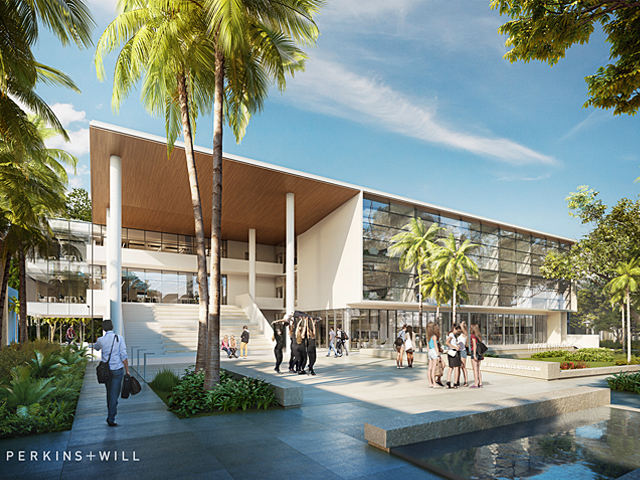 In addition to operating as a museum, the site will also create valuable and much needed public space for the area, with a wide range of restaurants, education precincts, exhibition spaces and public space. In addition to revitalising the Shougang industrial space, an installation was in Venice as part of the Biennale created to celebrate the site’s history and recreate historical memories of the area. Called Steel Home Still and created by Bo Hongtao and Wang Zigeng, the installation sees a steel pavilion placed inside the Santa Caterina church. 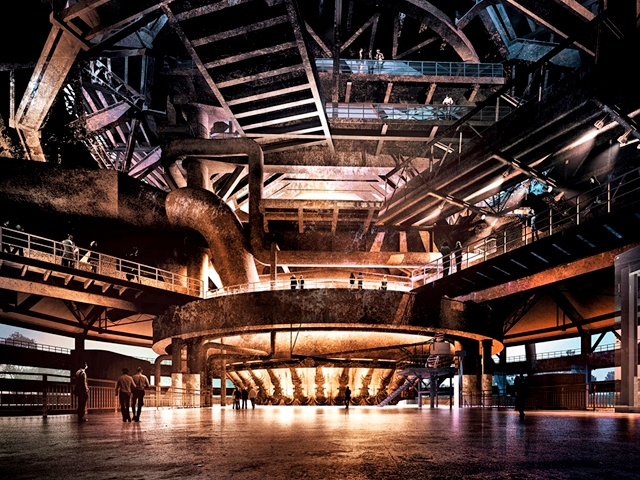 Inside will feature a spectacular scale model of the Shougang blast furnace, in addition to a series of rooms that recreate the site’s industrial past, including the dormitory, workers club, drawing room and furnace preparation room. The installation utilises a series of methods to convey the history of the site, such as film, sets, photography, multimedia and graphic design. The combination of these aspects allows for each room to create a picture of the life of the workers at the site. Through this, Hontao and Zigeng wish to “unveil the microhistories at the level of individuals and families”. 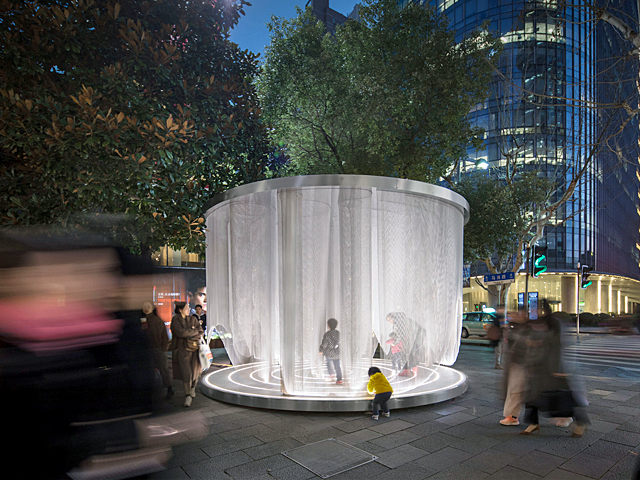 Steel Home Still will be on display until 31 October 2018. 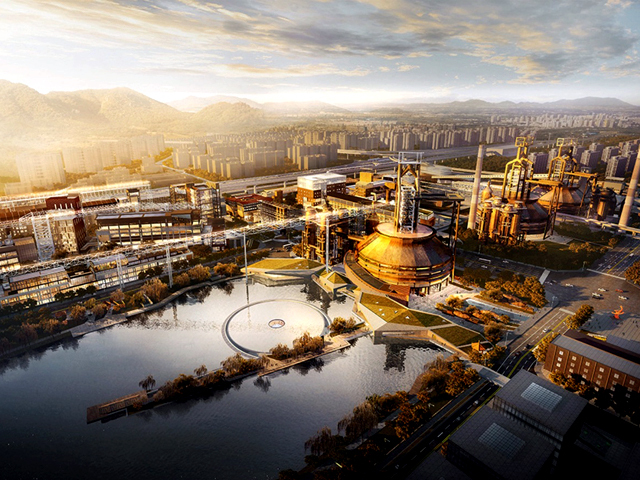 The Shougang Industrial Regeneration project is expected to be completed in 2019.